Our solution can be used from anywhere with your web browser. This way you can create documents and presentations, which you can then edit on your computer or tablet. 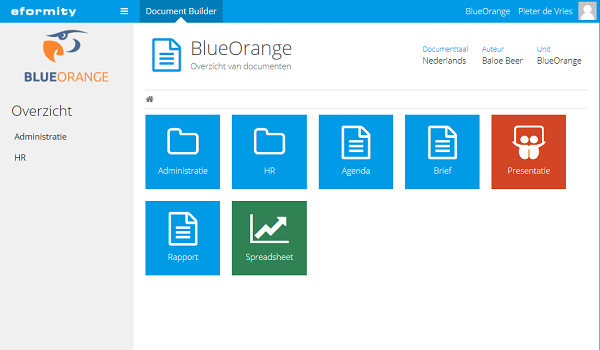 You can use our solution to create documents and presentations, all you need is a web browser. These can then be completed on any device. You don’t need to install any software for this. Via your web browser you can also easily edit all the information of your organisation, departments and co-workers. You can easily carry out different management tasks from the web browser. 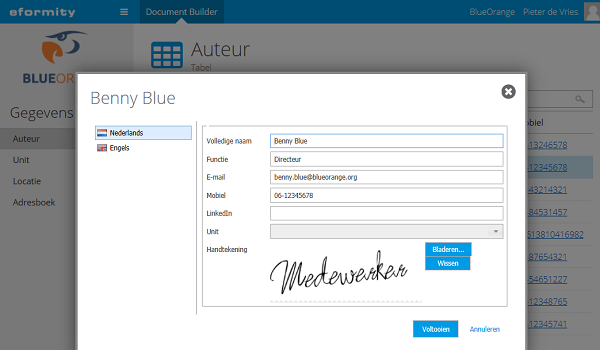 Examples are creating a new user, changing the e-mail signature or a translation.